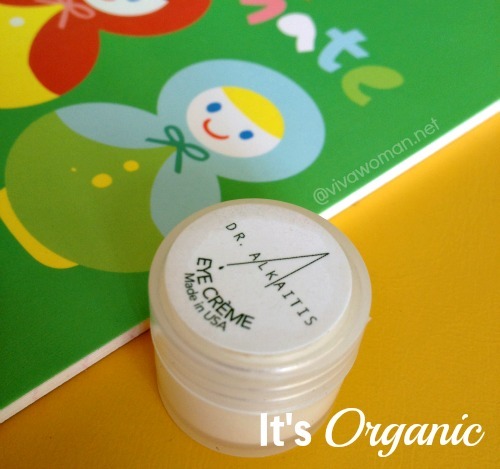 I bought the Organic Apoteke Rejuvenating Eye Cream sometime during the GSS and haven’t really used it consistently. I tried it for three weeks and then stopped for awhile before resuming again on some days. Moreover, because of the formulation, I could only used this eye cream in the night so the results that I’m going to discuss here are not entirely representative. The 0.5 fl. Oz. is rather small and the original price is S$54 but since it was on sale, I only paid S$39 for it. The texture of the Organic Apoteke Rejuvenating Eye Cream is lotion like and is neither rich nor sticky. The color is citrus like and it has a rather pleasant smell, probably due to the rosa damascena distillate. 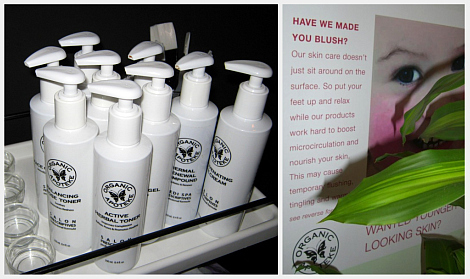 I like the idea that the ingredients in Organic Apoteke range are mostly organic and made to penetrate our skin. How they achieve this is that their products are formulated to stimulate microcirculation while nourishing our skin. Stimulating microcirculation means getting oxygen & nutrient rich blood flowing through the skin. 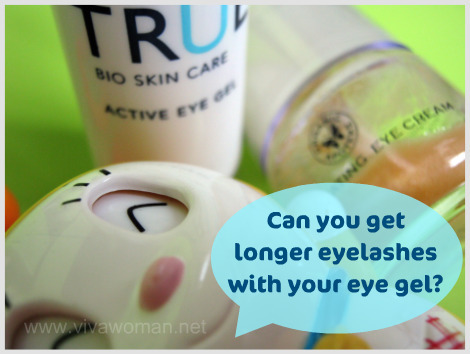 This is why, when I applied this eye cream around my eye area, I immediately felt a tingling sensation and the skin turned slightly pink. Well, there was once or twice I overapplied and the area turned lobster red! The redness do go away after awhile but it’s better to use this eye cream in the night or everyone would be wondering what’s wrong with your eyes. When I first started using the product, I noticed that the skin around my eye area softened a bit and the fine lines seemed less noticeable. This eye cream is also supposed to reduce dark eye circles and under-eye puffiness but perhaps because I haven’t used it consistently, I couldn’t tell the difference. The reason why I’m not using this product consistently is because I am using a range of salon products. Well, I didn’t need this eye cream but I bought it because…it was on sale. The product uses a pump and I found it slightly difficult to control at times. This is why I sometimes pump more than I need and end up with lobster red looking eyes! But other than that, a pump is really more hygenic when it comes to skin care products. Overall, even though I didn’t use the Organic Apoteke Rejuvenating Eye Cream consistently, I would be happy to continue trying this if not for the fact that I’m using another eye gel. I like the ingredients and most importantly, I like their delivery system. And like I said, I did see some subtle difference. My only gripe is that this product can only be used at night. Anyway, I just realized that the bottle will expire after six months upon usage so I better start using it again. However, I may also apply this on my hands as I realized that this eye cream makes my skin very soft and smooth. Well, better than to let the product go to waste isn’t it? Organic Apoteke products can be found at The World Of Organic Skincare at #03-18/19 East Point Mall, #02-187 Marina Square and their new retail space within Metro at the City Square Mall. And those outside Singapore who are keen on trying Organic Apoteke, you can look up the range at Love Lula. I need to get a nice eye cream…but I stick with this green tea anti-dark circle cream….from you guessed it maybe lol…china…I love it personally…some might be afraid to use a product they don’t know about but I don’t care I use whatever I think will benefit me. It costs only 10 bucks which is very cheap and I use it nightly and can see a difference. my eyes are bright. Even though the gel like cream is sticky and does not absorb well. Some products from China do work…but of course there are a lot of skepticism due to the bad press. I’m glad you found something that is cheap and effective! I tried a sample of this, not hydrating enough though. You don’t like it? Well, I guess it’s the preference. I actually find the texture just right. Glad you tried the eye cream and like its consistency. The eye area is so problematic because the skin around the eye is very thin. Hence the many tiny blood vessels in this area are easily prone to damage. The excess fluid that flows out of the damaged vessels causes undereye bags while the deoxygenated blood cells that escapes from damaged vessels causes the blue appearance that we describe as dark rings. The other downside is that Asians are more prone both these problems. 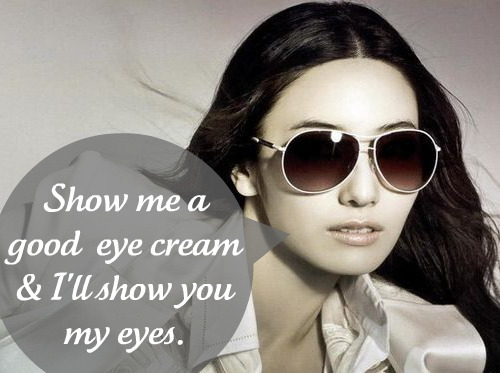 The Rejuvenating Eye Cream was developed to strenghten the blood vessels around the eye area. The way you strenghten blood vessels is by stimulating microcirculation. Think about stimulating microcirculation as exercising the blood vessels. When you exercise your body, you get initially get flushed and go quite red but as you get fitter this redness after exercise disappears. The Eye Cream and our other products that stimulate microcirculation work in the same way. I urge you to use the eye cream consistently for 7 days, you will notice that after using it for a few days you will stop experiencing the blushing effect. What will remain is smoother skin and stonger blood vessels which means no more undereye bags or dark circles. Organic Apoteke products are designed to work deeply and deliver results. When you are bringing about deep changes to the skin, you have to experience some superficial effects. Its one way to know your product is working. If something sits on the surface of your skin, and you feel nothing when you first apply it, then in most instances its actually doing nothing. You need to see and feel your skincare work. Yes, I noticed the redness subsided after some consistent usage. I’m using it again after stopping for awhile and noticed that my eyes are not so red. Anyway, I’m very fond of your products – at least in terms of what I see in the ingredients and the delivery system in the formulation. I was contemplating your Rasayana Serum but just that I don’t have the opportunity to try cos I’m using another natural skin care range that I’m happy with. I find myself coming back to your site so often. I find your articles really topical. I read on a previous post, that you have some pigmentation due to sun damage. Not using sunscreen in our younger years is the cause. I would strongly recommend you try the Rasayana Rejuventing Serum. It really is effective at diminishing pigmentation and age spots from sun damage. Also helps repair and rebuild collagen and elastin. would like to try organic apoteke products, where can i get it in malaysia? I am not aware of it. I think the company in Singapore obtained the distributorship here but the product doesn’t seem to be launched anyway else in Asia. yes thats true, i also want your product to spread on asia so we can also try it!! !